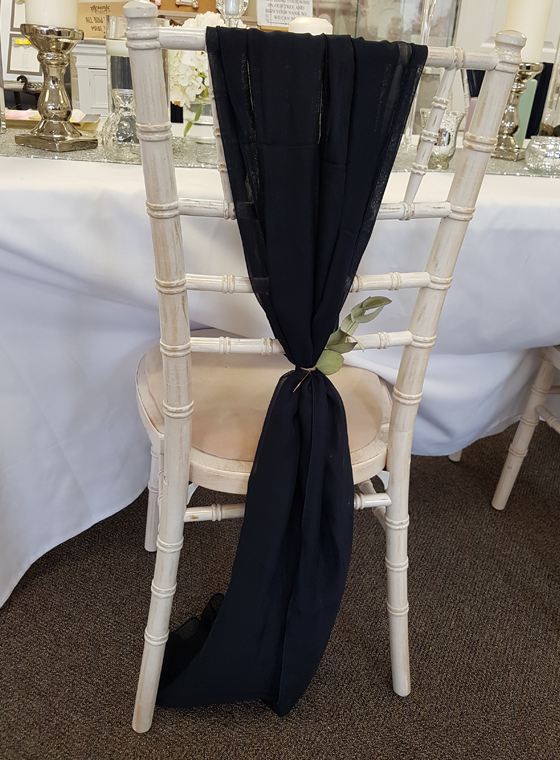 We supply high quality chair covers, allowing your guests to be wowed and seated in style . 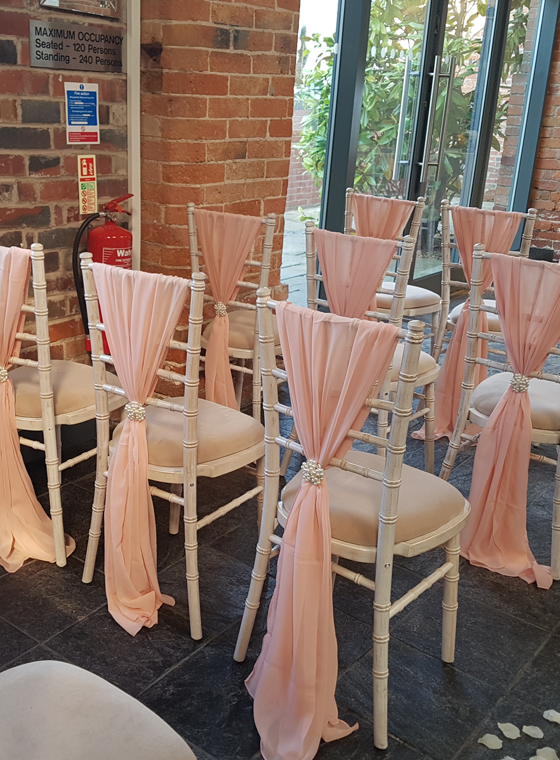 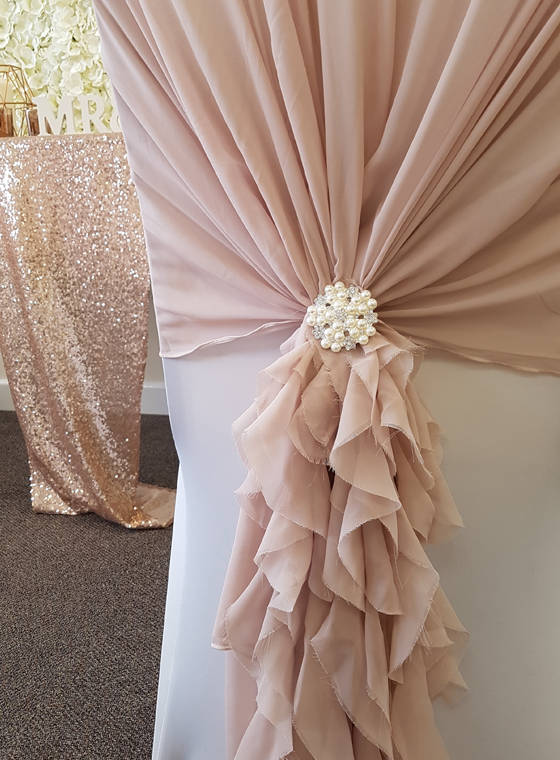 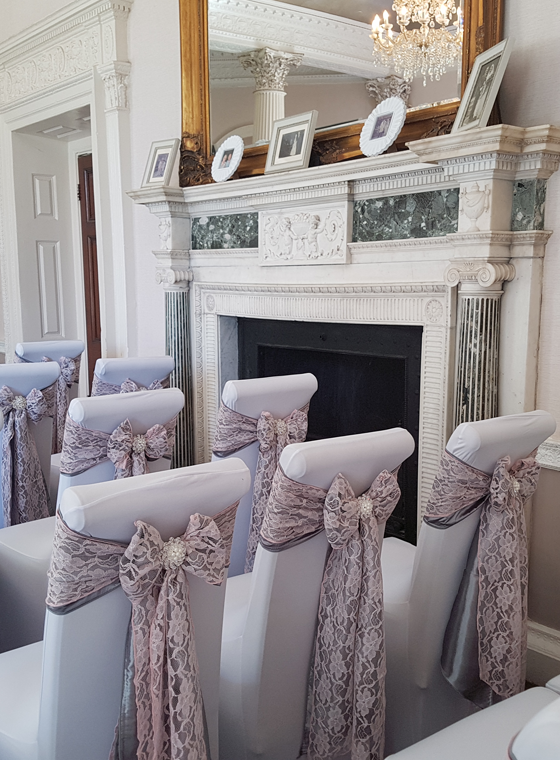 We have a variety of sashes from organza, taffeta and lace to chiffon drapes and ruffles, all in a range of colours to compliment your chosen theme. 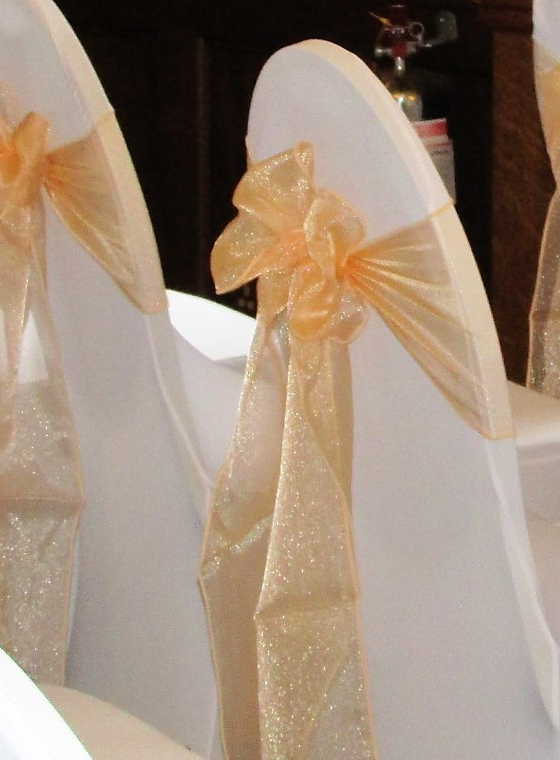 You can also rely on us to do our best to find the right colour for you if it is not one we currently hold. 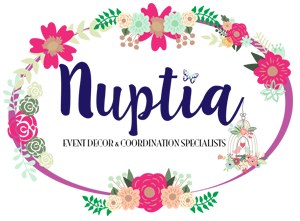 By choosing Nuptia you can be assured of nothing less than perfection on your special day. 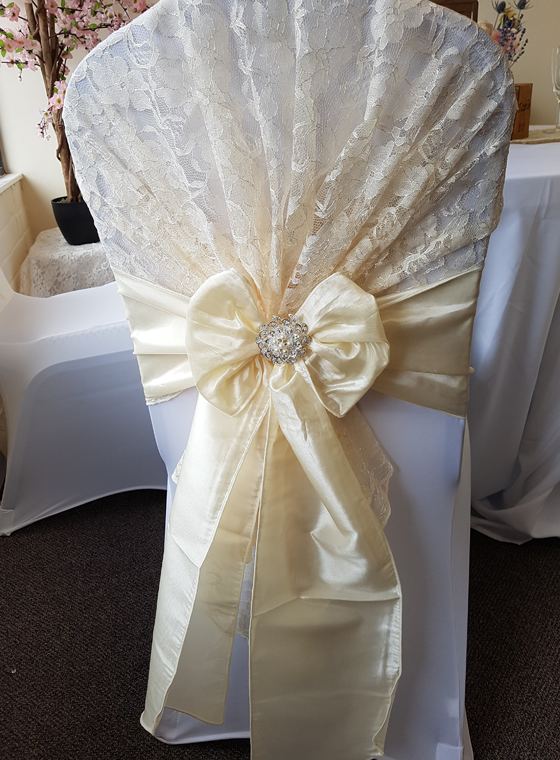 Hire starts from £2 including an organza sash of your choice.